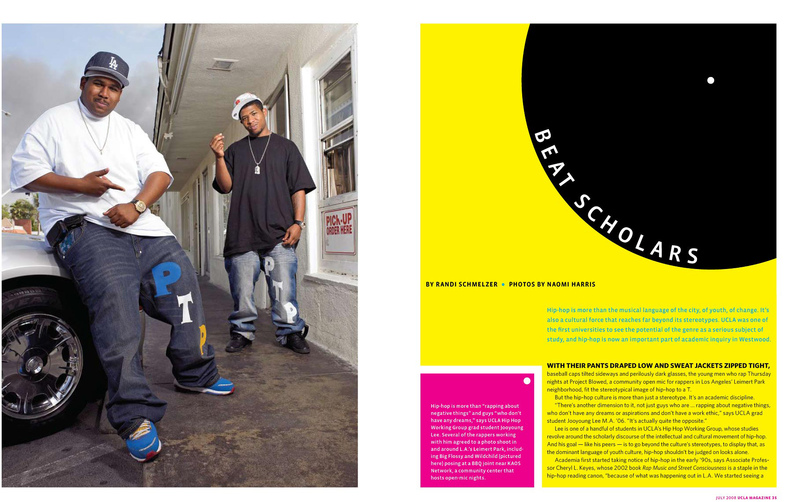 The academic study of hip-hop culture, shot by Naomi Harris. We went all around south central LA shooting rappers and break dancers. This opening image is shot at a hole-in-the-wall (literally) barbecue joint. There was an actual building burning in the background -- we didn't have the budget for special effects.